Information Center : LionTec Shop, The lithium-ion experts! You can buy the battery and the charger only as a set. 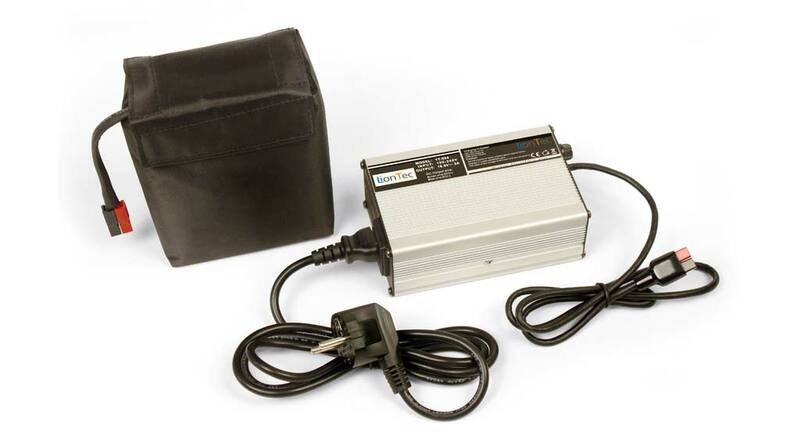 This enables you on one hand to migrate from the technology NiMH (Nickel-Metal-Hydride) to Lithium technology ore on the other hand to replace an existing Lithium battery while charging your new battery safely and in the correct manner. Your old battery must be disposed according to your country regulations for worn out batteries. Find operating instructions, use and care instructions as well as transport certificates and conditions in our downloads. Transportation of Lithium batteries is liable to strong regulations. The offered batteries are subject to the UN 38.3 regulation and are tested according this regulation. Fundamentally all Lithium batteries are considered as dangerous goods. For this the shipment cost are higher than for normal household goods. We are shipping your battery set via GLS. GLS handles the shipment as dangerous good shipment according the liable regulations. Shipping is free. Find more informations here. Delivery of goods is carried out in Europe within 5-8 business days after order confirmation, if there be not any different period specified in the item description. Please note: If you have ordered products with different delivery times, these are grouped together and sent in one shipment. If another agreement has been made with you, you will get a confirmation. The delivery time is always determined by the article with the longest delivery time, you ordered. Pickup times: Tuesday and Thursday 10:00-12:00 a.m. and 02:00-04:00 p.m.
Payment methods: Cash, Maestro, PayPal, MasterCard and VISA. Prepartion of goods: Please contact us 24 hours in advance by email or call us and tell us which item you want to purchase to enable us to inspect the goods before pickup. This is then provided for you. Technical advice: Please contact us 24 hours in advance by email or call us. Otherwise, we can not assure a technical consultation on the spot.